PRICE REDUCTION!! SELLER IS MOTIVATED AND HAS REDUCED THE PRICE ON THIS STUNNING 3 bedroom 3 bath Model-like home ON PREMIUM LOT THAT OVER LOOKS THE LAKE WITH FOUNTAIN. This beauty has a lot to offer with its extended lanai and outdoor kitchen, swimming pool/spa and tropical landscaping It's like having your own private resort! Pre-wired for surround sound in the living room and lanai. The pocket lanai slider doors have custom horizontal blinds. The expansive kitchen has granite counter tops, stainless steel appliances, natural gas for cooking and a large island with sink and lots of sitting room for your family and guests. Home has tile throughout; den features french doors that open from entrance foyer. The Master bedroom has its own private patio door that goes out to the lanai/pool . Master bath has a freestanding tub and shower. Club membership gives access to Spanish Wells community clubhouse, pool, tennis courts, gym and all social activities. Golf memberships are optional. This community is close to shopping, beach, and airport. DON'T LET YOUR BUYERS MISS OUT ON THE OPPORTUNITY TO SEE THIS BEAUTIFUL HOME WITH UPGRADES! I was searching for a Property and found this listing (MLS #218049941). Please send me more information regarding 9937 Alhambra Ln, BONITA SPRINGS, FL, 34135. Thank you! 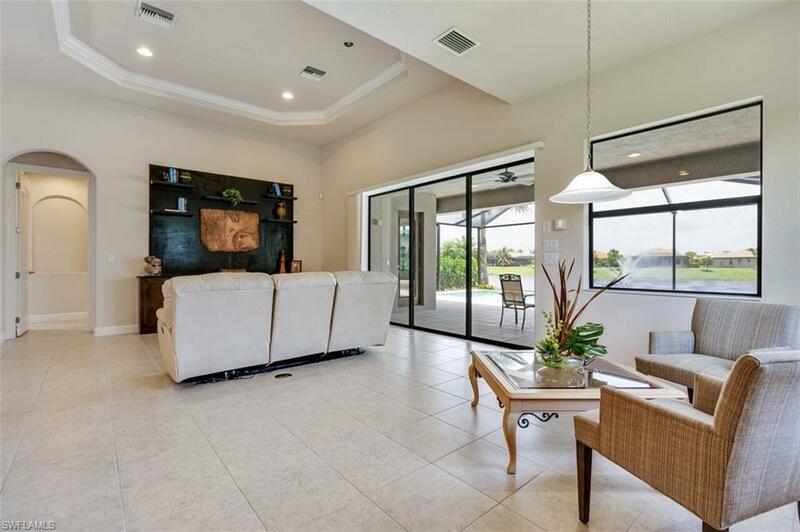 I'd like to request a showing of 9937 Alhambra Ln, BONITA SPRINGS, FL, 34135 (MLS #218049941). Thank you!